The message is clear from the International Criminal Court — it’s training its legal eye on corporations who do harm to the environment. “There’s nowhere to hide now. Environmental conduct is human rights conduct,” warns Lynda Collins, an expert on environmental human rights at the University of Ottawa. That policy change, announced in September, has caused a massive ripple through Collins’ world. It has put heads of companies — from mining to oil to any resource extraction — on guard. “The ICC is normally associated with prosecuting warlords but now it recognizes that environmental harm can and does violate human rights,” Collins told Yahoo Canada News. Collins knows her stuff, she has published on a wide set of issues on the topic such as environmental rights under the Canadian Charter of Rights and Freedoms and Aboriginal environmental rights. She is also a professor with the Centre for Environmental Law & Global Sustainability at the U of O. 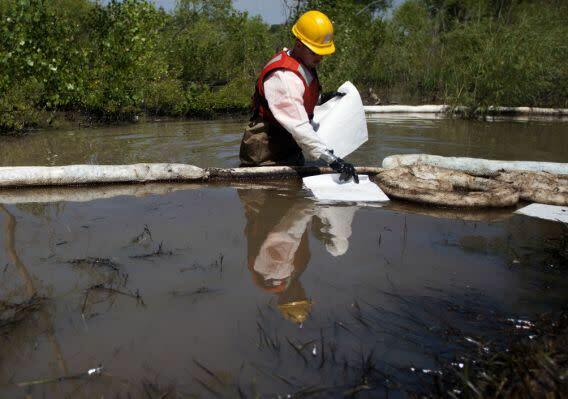 “What they are looking at is examining environmental dimensions under the Rome Statute [which governs the ICC]. So they are not adding a new policy but simply interpreting a crime such as mass killing in an ecological manner,” she said. In the case of Canadian mining companies that operate in many countries abroad, Collins said there are two ways the ICC might investigate: one, they are causing pollution that is affecting the health of locals; or, the companies will often hire a security company to manage their site. Sometimes, these operatives are accused of assaulting or killing locals. 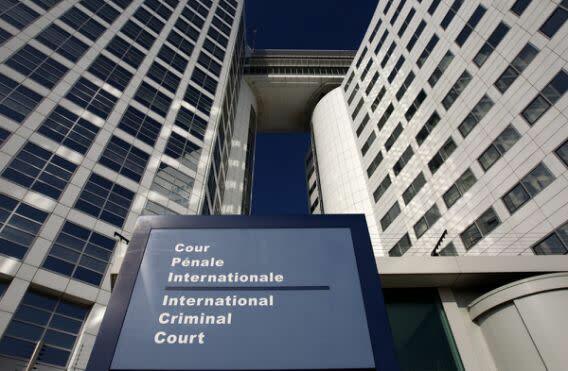 In these cases, it is more likely that the security personnel could be brought before the ICC. In immediate terms, it’s unlikely any CEO or major heads of corporations will be taken before the ICC any time soon, but there are real implications within Canada. “Right now, there’s the case of Grassy Narrows, which is under litigation in Ontario Superior Court,” Collins said. New research shows that 90 per cent of the population at Grassy Narrows and Wabaseemoong First Nations still suffers the effects from mercury dumped 40 years ago in the river that flows through the two northwestern Ontario communities by Reed Paper, upstream in Dryden, Ont. “Under the ICC’s statutes, forcible relocation can be viewed as a crime against humanity. And if you are polluting people’s land and they can’t live there anymore, you are, arguably, forcing them to move,” Collins said. According to Collins, Canadian courts often look to international sources for interpretations of the Charter when they feel they need clarification. “Canadian courts have done this before, taken into account concepts laid out by a supra-national entity like the ICC,” she said. And also, there is a major decision coming up at the Supreme Court of Canada, she said, with a Charter Charter environmental claim before the justices for the first time. It concerns the 6,300-bed Jumbo Glacier ski resort development in the East Kootenay region of B.C. The case concerning the Ktunaxa First Nation will be before the Supreme Court on Dec. 3.